We all have the desire to know our future is secure. We fear the uncertain. When we surrender our plans to God, we have an assurance that He works for us and puts things together for our good. Life is full of uncertainties. I fight against this fact, tooth and nail. I am a planner. Knowing what to expect in situations is important to me. I love predictability. I don’t care for the uncertain and unknown. This may make me boring in some ways. But if you take me on a road trip, you can be sure I will find all of the awesome attractions along the way. While I may have a desire to know the future and to have confidence in my stability, I am slowly learning this is not how life works. When we over plan and anticipate every aspect of our lives, we steal away God’s opportunity to show up for us. When we are laser-focused on making the uncertain certain, we fail to ask God for help. We fail to fully put our trust in Him. For I know the plans I have for, declares the Lord, plans for welfare and not for evil, to give you a future and a hope. We see and hear this verse so much that we may have become desensitized to its truth. God knows the plan for us. He is certain. Nothing is unknown to Him. More than that, the plan God has for us is for our good. It gives us hope and a future. When we take the time to read this verse and let it resonate in our hearts, we come to realize that the unknown doesn’t have to be scary. This is where faith requires us to take action. We have to offer our future and our uncertainty into His hands. We will never have complete knowledge of what tomorrow brings, but we can be sure it is good and full of hope. One aspect of uncertainty is not knowing the right decisions to make. There are infinite amounts of outcomes to any one decision. We want to know that the choices we make are the right ones. In attempting to make the right choices, a lot of times, we forget to seek counsel from our greatest teacher. 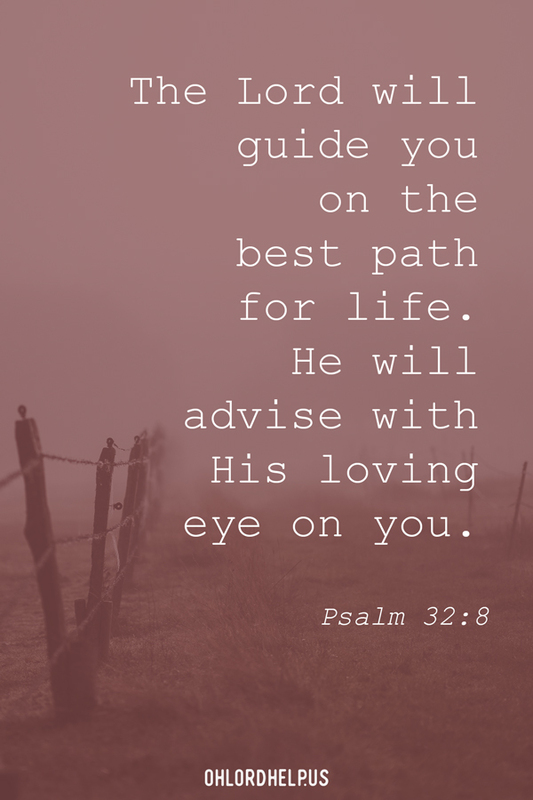 The Lord promises He will instruct us and teach us the way to go. He does this because He loves us. We are required to trust in Him and learn to listen to His voice. When we try to figure things out on our own and ignore God’s teaching and instruction we will make the wrong choices. We know that God will use all things. Nothing we do can change His ultimate plan for us, but if we don’t trust His counsel, our free will can cause it to take longer to get to what God has for us. God’s plan is always greater than our own. There are things that are in play that we can not imagine or prepare for. 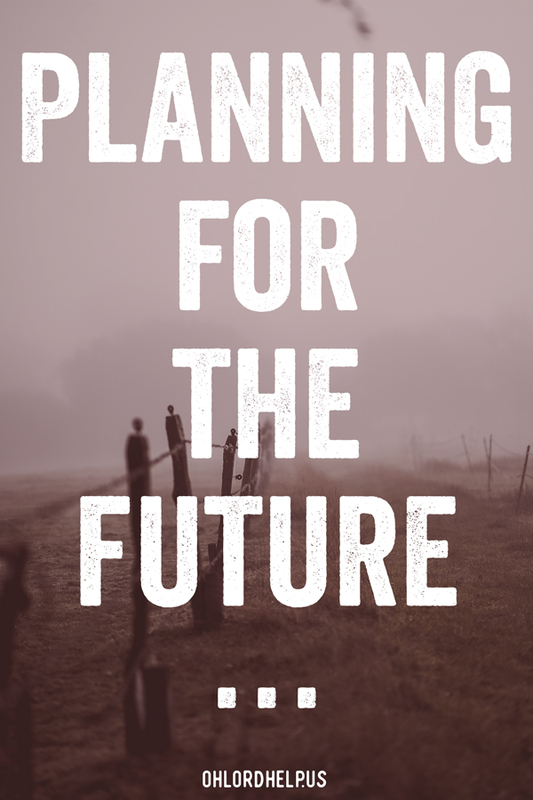 While planning and preparing are good, when we try to over plan and take control of our own lives we miss out on God’s blessings along the way. God’s way is always greater than our own. We can plan and prepare all we want but our best will never measure up to God’s ways. We must surrender our plans and our desires for certainty to Him. For when we do this we have confidence that our future will be bright, hopeful, and beyond anything, we could ever imagine.